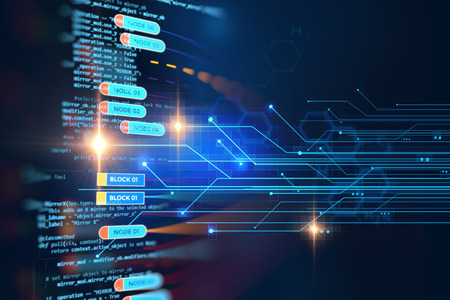 More and more companies who offer blockchain and other next generation cybersecurity technologies are seeking patents to help protect their competitive position. The U.S. Patent and Trademark Office’s (USPTO’s) Technology Center 2400, which covers networking, multiplexing, cable and security technologies, includes over 200 Patent Examiners who focus on security technologies. TC 2400 issued over 33,000 patents in 2017. During this period, the USPTO’s overall allowance rate was 59.4%. Since then, the USPTO has issued several guidance documents, and lower courts have issued several opinions, describing when software is and (more often) is not eligible for patenting under Section 101 of the Patent Act. The USPTO typically denies, and courts often strike down, patent applications and patents covering methods of manipulating data, completing financial transactions, and algorithms that do not require any particular hardware other than a general-purpose computer. Patent applications that focus on financial applications of blockchain technologies often face patent-eligibility hurdles. A search of the USPTO’s Patent Application Information Retrieval (PIR) system indicated that as of January 2018, over 90% of the published applications and issued patents having the term “blockchain” and any combination of “cryptocurrency,” “coin,” or “currency” in the claims were assigned to the USPTO’s Technology Center 3600. (TC 3600 includes the USPTO’s business methods examining unit.) Over 80% of these patents and patents applications received a Section 101 rejection on first action. In addition, the allowance rate in TC 3600 remains far below that of the USPTO’s overall statistics. With the recent rise in values of cybercurrencies such as bitcoin, and with increasing interest in initial currency offerings (ICOs), businesses around the world are rushing to build value with new blockchain technologies and applications. This presents many opportunities to patent innovative blockchain and other distributed ledger technologies. This is a relatively recent trend. The first recorded appearance of the word “blockchain” in any U.S. patent or published patent application was in 2012, approximately three years after the launch of bitcoin. at least 275 published patent applications include one or both of those terms in the title, abstract or claims. US9853819 Blockchain-supported, node ID-augmented digital record signature method 2017-12-26 Guardtime IP Holdings LTD.
US9747586 System and method for issuance of electronic currency substantiated by a reserve of assets 2017-08-29 CPN Gold B.V.
US9722790 Identity management service using a blockchain providing certifying transactions between devices 2017-08-01 Shocard, Inc.
US9641338 Method and apparatus for providing a universal deterministically reproducible cryptographic key-pair representation for all SKUs, shipping cartons, and items 2017-05-02 SkuChain, Inc. Most of the granted patents cover new or improved aspects of the blockchain itself. Only a small number of U.S. patents have issued to date for new applications of existing blockchain technologies. This is likely because many companies are merely using existing blockchain technologies to implement different types of transactions. Over half of the granted patents were examined within the USPTO’s Technology Center 2400, which covers networking, multiplexing, cable and security technologies. TC 2400 includes over 200 examiners who focus on security technologies. The top 15 filers of patent applications for information security and cryptography technologies in each year during 2014-2016 included Amazon, Google, IBM, Intel, Microsoft, Qualcomm, Samsung, Symantec, and Tencent. Top filers in 2015 and 2016 also included Bank of America, Cisco, and EMC. While the vast majority of U.S. patent applications for information security and cryptography technologies have been filed by U.S. companies, the USPTO has also received a significant number of filings from companies that are based in Japan, China, Korea, Germany, France and Israel, among other countries. The average pendency (time between filing and either grant or abandonment) of patent applications for information security and cryptography technologies was approximately 27 months in 2016. Globally, as of January 2018 World Intellectual Property Office (WIPO) records show 197 published Patent Cooperation (PCT) applications with the term “blockchain” or “distributed ledger” in their title, abstract or claims. However, relatively few of these PCT applications have reached the national stage. The European Patent Office database includes only 21 such patents and published applications. According to a recent report from Clarivate Analytics, in 2016 China experienced significant growth in new patent filings for blockchain technologies and is second only to the U.S. for new filings involving blockchain technologies. Cybersecurity technology has become one of the most important industries in the world today. With products that are critical to businesses in countless fields, including finance, healthcare, transportation, public utilities, manufacturing, defense and government, experts have predicted that the global market for cybersecurity technologies will grow by 10% per year through 2020. Cybersecurity technologies are also one of the biggest drivers in corporate value today. 129-year-old Eastman Kodak Company recently saw the value of its stock jump by 200% after announcing a new service that will use blockchain technologies to help photographers get paid in a new cryptocurrency when others use their photos. A New York-based beverage distributor experienced a 289% share price increase after it simply renamed itself from “Long Island Iced Tea Company” to “Long Blockchain Corp.” and announced that it would start to offer blockchain technology solutions. Next generation cybersecurity technologies include more than just blockchain-based payment systems. Distributed ledger technologies have applications in multiple fields, including document sharing, video and audio streaming, and biomedical applications. And although blockchain is all the rage at the moment, other cybersecurity technologies such as network attack simulations, network security awareness training through methods such as simulated phishing, and real-time analytics are equally important, if not more so.